Often in today’s industry antennas need to be hidden from view due to a jurisdictional or landlord-related restriction. 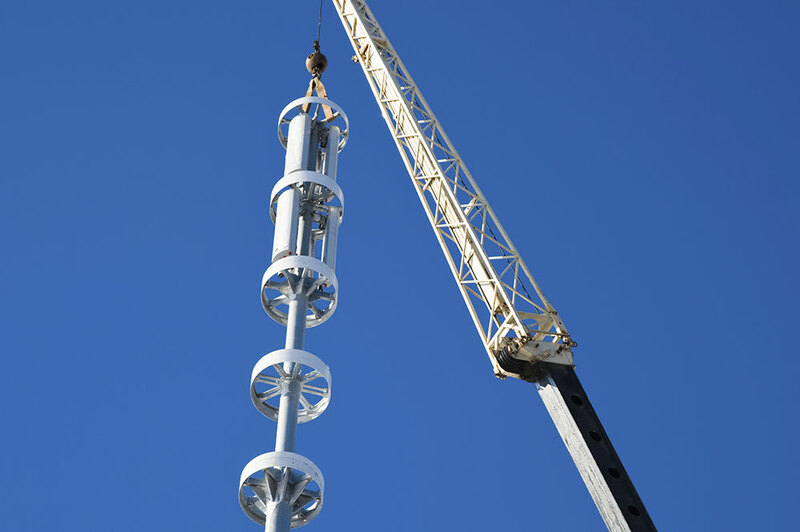 This can be done by using a specific kind of stealth tower (mono-pines, mono-palms, flagpoles, steeples, silos and even a saguaro cactus) or by simply shielding the equipment with a specialized fiberglass screen wall. Our staff can analyze an existing stealth structure in accordance with either the Electronics Industry Association EIA/TIA-222-F 1996 Standard or the TIA-222-G-2 2009 Standard for the proposed antenna loading you provide. Carpenter & Cross can also design a custom camouflage for your proposed equipment on an existing tower or rooftop. If your proposed project is the initial build, our team can design a new stealth pole or structure to meet the needs of your deployment. Our staff is also able to assist with an upgrade of an existing stealth structure. This can be done in order to accommodate larger quantity or size of equipment for an existing customer. A structure can also be modified in order to add space for a new collocation. Contact us to find out how your equipment can be out of site but still allow for superior coverage in these unique situations.